Think you know about boxing? Think again. This book will test your ringside knowledge. Compiled by Guinness World Records consultant, Ralph Oates. It's a knockout! 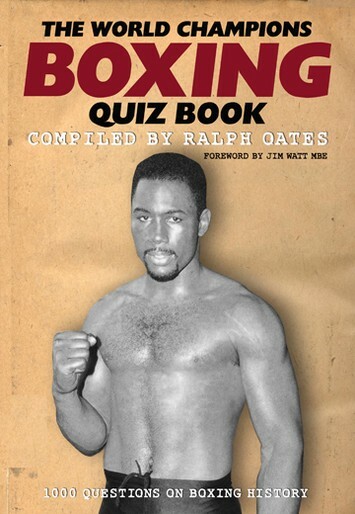 With a thousand questions covering the careers of over fifty world championship boxers, including Muhammad Ali, Joe Calzaghe and Frank Bruno, this quiz book is designed for fans who have a genuine interest in the ultimate combat sport. Ralph Oates was born in Hornchurch, Essex. As a former amateur boxer he has always been interested in the noble art. He is recognised as the leading complier of boxing quiz books in the country and, for the last eighteen years, has contributed articles and quizzes to the highly regarded The British Boxing Board of Control Boxing Yearbook. For three years Ralph had his own weekly Boxing Corner column in the Essex Courier and, in 2012, produced a question list for the BBC’s National Lottery programme Who Dares Wins. Currently Ralph is the boxing consultant for Guinness World Records.